So we had a thought- why if there's bottled water for humans, isn't there bottled water for dogs? Apparently, other smart people had already had this thought... In fact, there are several bottled water brands for dogs/"pet beverages" on the market, believe it or not! 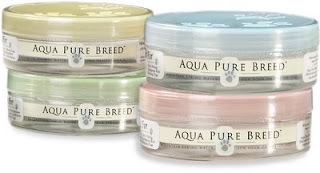 The first one we stumbled across is Aqua Pure Breed (APB), which is based out of California. Though we have not tried this product, we were fascinated by the fact they offer both bottled spring water and mineral enhanced water. Also, their packaging looks like it might be reusable which is environmentally friendly AND cost-savvy. 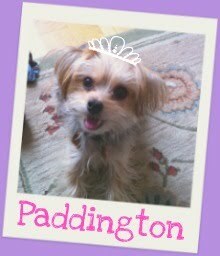 Design-wise, we dig the "dog bowl" shape, which we think might appeal to Paddington (trust me, she's not so keen on drinking out of water bottles/coffee cups/etc...). APB Pure Premium Spring Water is oxygenated to help keep your pet energized and hydrated. With no added minerals, it comes with either a pink or blue lid and contains Magnesium which helps to maintain nerve function and combating heart disease. It comes in a blue or pink bowl, and as far as we can tell, the colors don't differentiate a difference- they're just a personal choice. APB offers two mineral enhanced waters for your dogs: APB Yellow is geared towards "Healthy Skin & Coat" and includes Silicia which is meant to protect against dry skin and thinning hair and nails. APB Green is for "Bone & Joint Support" and contains Chondroitin and Gulcosamine. While we at Barkzilla are not totally sure about mineral enhanced water for your dog (... or humans for that matter), we do like the concept of portable, clean pet-friendly water. We also like APB's chic packaging and design. Available in 8oz, 16oz and 2 liter bottles, go to Aqua Pure Breed's site to find a retailer near you. Prices range from $2.69 to $3.29 for what we assume is the smaller 8oz size. In the next few weeks we hope to review other portable water options! Let us know if there's something you've seen that you'd like to hear more about! Disclaimer: This content originally went live in 2009 on our old site, and has been re-posted with updates.